Australian children’s entertainment company SLR Productions is celebrating 15 years of creating media content. SLR Productions, Australia’s leading Emmy and multi-award winning children’s entertainment company, is delighted to be celebrating 15 years of creating, developing and producing world-class internationally acclaimed media content. In February 2002, SLR Productions was established by CEO and Executive Producer Suzanne Ryan. The company, with the invaluable contribution of its talented team and key partnerships, is now recognised across the globe for its highly successful and well loved children’s and family brands. These include the internationally acclaimed preschool property Guess How Much I Love You –The Adventures of Little Nutbrown Hare; the animated adventure series The Skinner Boys – Guardians of the Lost Secrets; the pirate dinosaur cartoon Captain Flinn & The Pirate Dinosaurs; the animated twin detective series Lexi and Lottie – Trusty Twin Detectives; the live action series Sam Fox – Extreme Adventures and the Emmy Award winning animated series I Got a Rocket. Since its inception, SLR Productions has won an impressive list of awards including most recently the 2016 SAE ATOM Award for Best Children’s Television Program for Guess How Much I Love You; Three Gold Pixie Awards in Animation for The Skinner Boys, Captain Flinn & the Pirate Dinosaurs and Guess How Much I Love You. SLR Productions has also been nominated and named as finalists in a multitude of prestigious awards including the 2016 AEAF Awards for Guess How Much I Love You and the AACTA Award for Best Children’s Television Series for Sam Fox – Extreme Adventures and Guess How Much I Love You. “It is an exciting and proud feeling to be celebrating 15 years in the television industry. 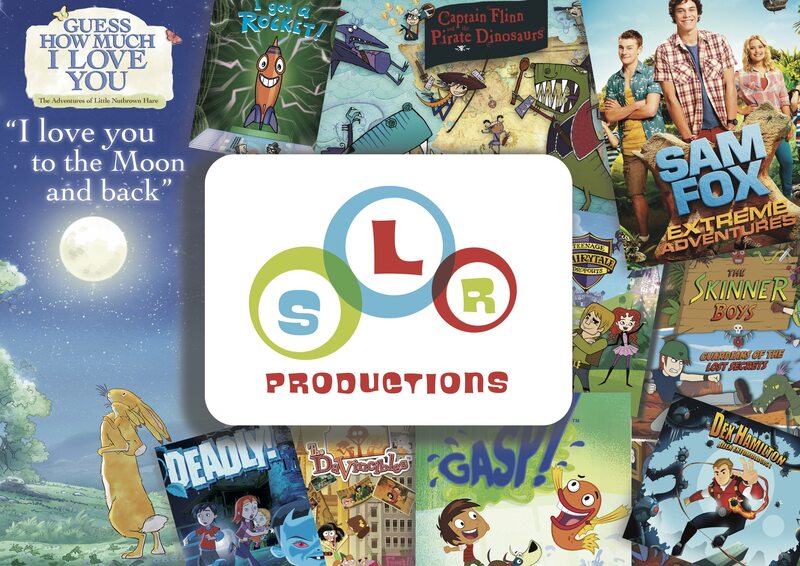 SLR Productions has become globally known for our highly entertaining children’s content created and developed together with our leading local and international broadcasting, distributing, publishing and production partners. From the start, SLR Productions has been made up of an exceptionally talented and passionate team dedicated to creating and producing world-class content that entertains young global audiences and I look forward to celebrating many more years of doing what we love,” said SLR Productions CEO and Executive Producer, Suzanne Ryan. SLR Productions recently announced production of two x 26 minute ‘Holiday Specials’ of its award-winning, preschool series Guess How Much I Love You. The series will be co-produced with KIKA-Der Kinderkanal with support from one of KIKA’s parent companies, HR-Hessischer Rundfunk of ARD. The newly commissioned ‘Holiday Specials’ have been acquired by ABC KIDS and ABC Commercial locally with 9 Story Media Group distributing the Easter and Christmas specials internationally. The SLR Productions team is made up of CEO and Executive Producer Suzanne Ryan, Creative Director Jo Boag, Line Producer Yasmin Jones, Script Producer Melanie Alexander and Business Affairs Helen Thwaites along with some of the industry’s finest directors, writers and artists.